I am obsessed with nut butter. Before we get into the delicious travel size nut butter that I found, I would like to briefly discuss nut butter. Recently, I found out I have a peanut allergy (not life-threatening), so I have been doing my best to avoid peanut base products. Prior to learning of my peanut allergy, peanut butter was an essential healthy travel snack for me, because it is so easy to find on the road. After learning of my peanut allergy, I went into a natural food store and discovered the array of other types of nut butter. 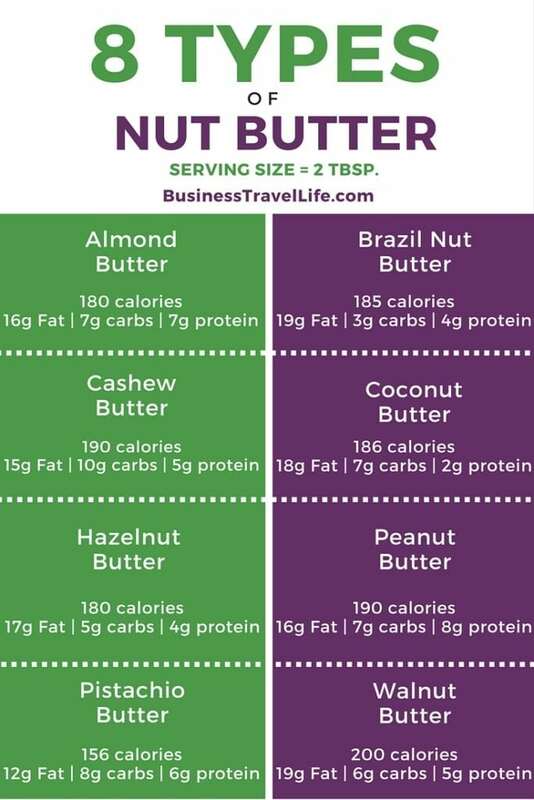 There are eight types of nut butters you can find (not to be confused with seed butters), thought not all are available in single serving, travel sizes. See the infographic at the bottom of the page for the nutritional information of each type. Why we love it: Raw coconut butter is similar to coconut oil, but it is extracted from the flesh and contains fiber (unlike coconut oil). 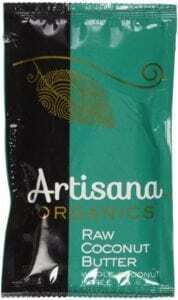 Why we love it: Vanilla Bean & Espresso! 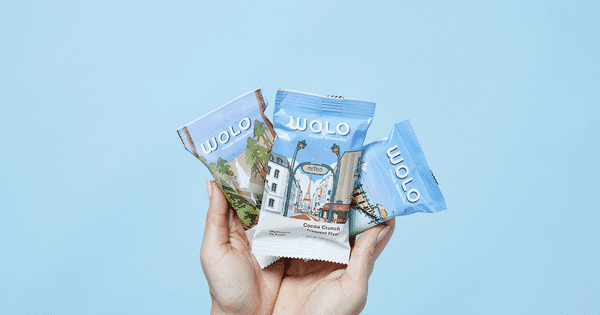 Why we love it: 100 calories per packet with 5g of protein and 4g of fiber! 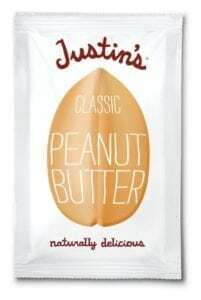 Why we love it: Peanut butter is a classic! 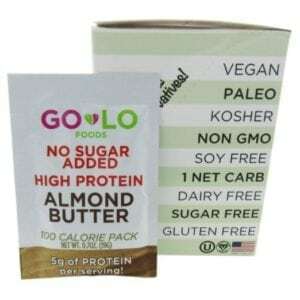 Why we love it: A tasty blend of nut butter, chia, flax and whey protein! 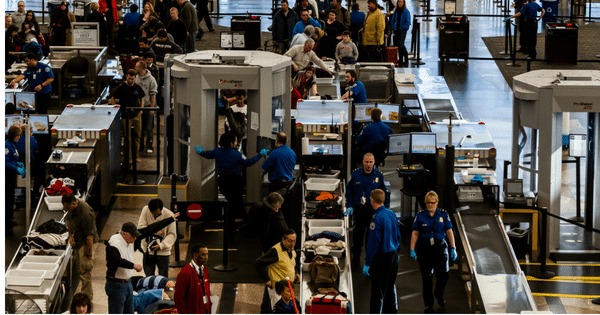 When packing nut butter, remember that TSA considers it a liquid. You may be lucky enough to get it through security in your normal bag, but don’t say I didn’t warn you! Lastly, when flavor is added, typically sugar is added, so the nutritional value may change if you prefer a flavored nut butter. 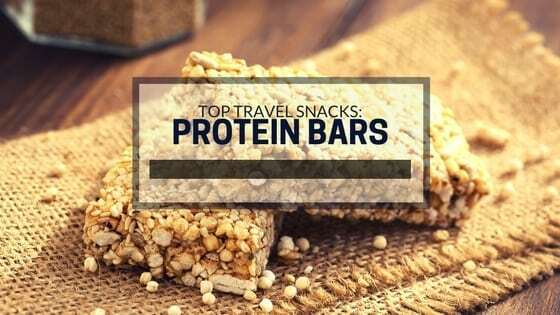 What is your favorite travel snack? Please comment below!